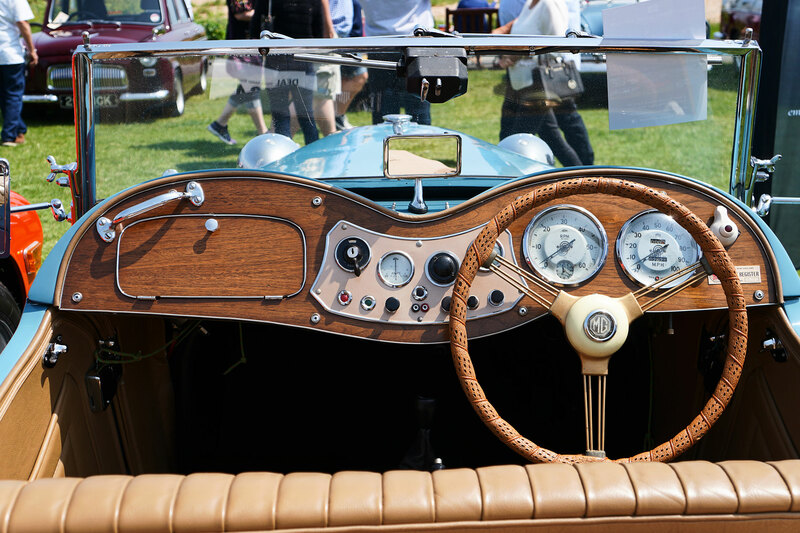 On Saturday we went along to the annual classic car show in Walmer. We couldn't have asked for better weather, the sun was out and crowds came to admire the cars. With the show covering the entirety of Walmer Green, there was a lot to see. Huge American Cadillacs dwarfing Mini Coopers, sports cars buffed to perfection and bonnet ornaments glinting in the sun. 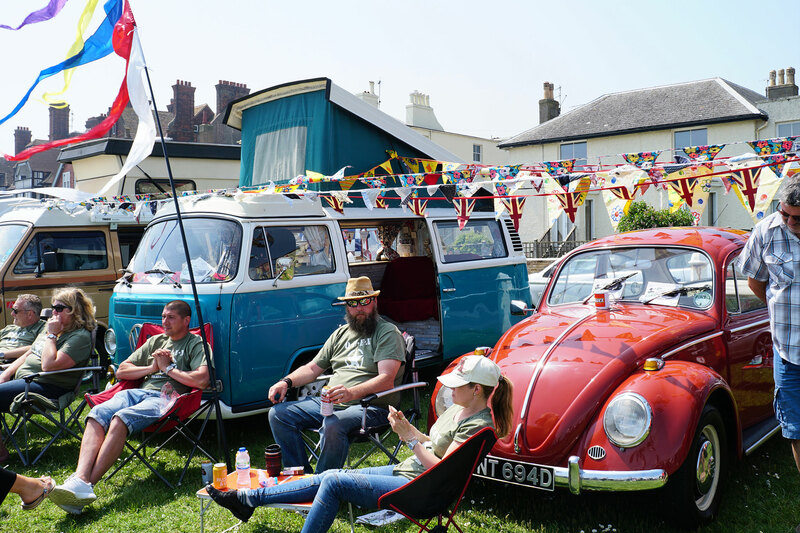 The car owners set up camp next to their vehicles, with picnics spread over trestle tables and blankets. Fire engines were on hand for children to explore and the coastguard set up their rescue equipment in a mini demonstration. Further up the green were stall holders, ice cream vans and fairground rides to enjoy. There was live music on offer all day, with sets from 50's and 60's cover bands coming from the band stand and a stage near the lifeboat station. Old double decker buses parked on the road to make shuttle runs from the Green to South Street, a handy service and a trip into the past for the passengers. 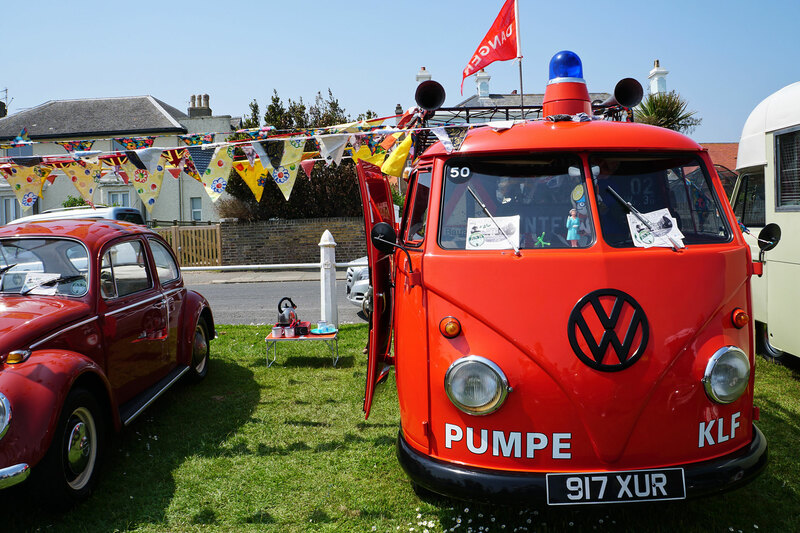 With lots of events taking place over the summer on Walmer Green, we have lots to keep us busy. Bandstand concerts, the cliff top challenge and of course the fun fair. We look forward to a fun filled summer on the Green.